How Do I Use Fill Dirt to Build a Retaining Wall? Retaining walls are structures that are designed and constructed to support the soil mass laterally so that the soil can be retained at different levels on the two sides. They are intended to restrain soil at a slope that it would not naturally keep to, usually, this is a steep slope that is near-vertical or vertical. A basement wall is kind of a retaining wall, but the term is most often used to refer to a cantilever retaining wall – a freestanding structure without lateral support at the top. Using fill dirt to support and construct retaining walls can solve many problems you may be experiencing your backyard. 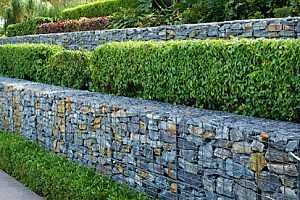 Retaining walls can reduce slopes, create a strong barrier to hold soil, manage stormwater runoff, and establish function landscape beds. Oftentimes retaining walls are used when the landscape needs to be shaped severely and engineered for more specific purposes. On a larger scale, they can be used for things like hillside farming or roadway overpasses. For uses on a smaller scale like in a backyard, they are most often used to prevent soil erosion, increase stability, and in order to create visual interest in landscape design. Many materials can be used to create retaining walls, they include things like stones, bricks, and concrete. Regardless of which material you chose, you’re going to need fill dirt to help create your intended slope. While you won’t see the fill dirt in the final product, it is an instrumental part in ensuring that you are building a stable wall that can support weight properly and stand the test of time. 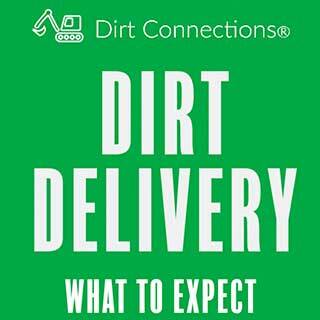 Reach out to a Maryland fill dirt contractor for more information and to schedule your fill dirt delivery. There are several costs that you have to consider when purchasing the materials you need to build your retaining wall. The first is going to be the cost of acquiring the necessary amount of fill dirt you need. Fill dirt is extremely easy to get your hands on so it shouldn’t break the bank by any means. Cost becomes more of a factor when deciding what material your wall is going to be made of. Wall block prices can fall between $10 to $15 per square foot, while poured concrete can run from $20 to $25. By following some simple steps, building your retaining wall can be less of a hassle than you think. 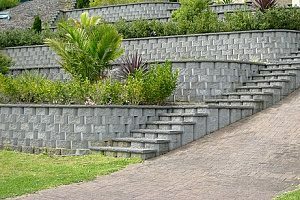 Below is an outline to the steps you will need to take to complete a quality retaining wall. Begin by planning your layout. You need to figure out where your retaining wall is going to start and end, and also if you’re going to need to build more than one. Make sure to avoid having downspouts pointed at the retaining wall, and if your retaining wall is against your house, keep soil and much well below the siding. Make a free-form layout by using a rope or hose to outline the shape. Then, use a shovel to mark the outline. Next, you’re going to mark the entire area with stakes and connect them with string. Once the layout is marked you can begin to dig a trench. This bottom of your wall will start in the trench, so it’s very important to be diligent with this step. Dig your trench about 4 to 6 inches deep and about 12 inches wide, or twice the width of the blocks your using. Fill dirt will be the foundation for your retaining wall. 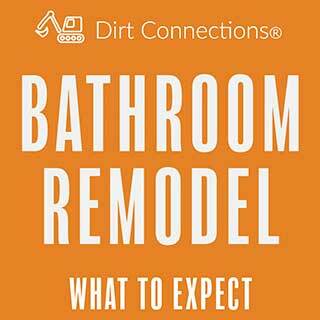 Fill dirt is vastly different from the dirt that is already in your backyard. This is because the dirt in your yard contains organic matter. This organic matter is what helps support the growth of your grass, but is what also makes it unsuitable for supporting your retaining wall. Organic matter breaks down over time, and as it does the volume of the dirt changes, which can result in shifting of the dirt. 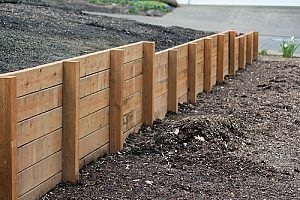 Shifting of the dirt could cause shifting of your retaining wall, which would make it much harder for the wall the wall to support the soil it needs to. 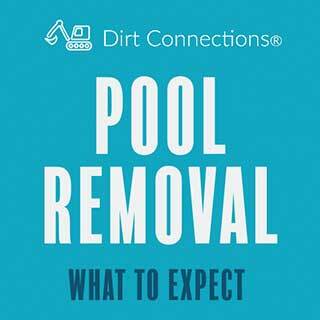 Fill dirt is taken from below the top layer of dirt so that it contains no organic matter. If your trench slopes, you’ll have to use fill dirt and implement a little land grading. Land grading is a construction process in which land is leveled or sloped to form a base, typically called for when a foundation is needed for a building. Land grading can also be used to correct drainage problems, prevent flooding, level backyard space so the area is more useful, or terrace a property’s hillside yard. If your trench has a minor slope, you’ll have to find the lowest point of the trench and the highest point of the trench. Then using fill dirt, you have to build up the low points until they are level with the high points. If there is an extreme slope to your trench, you’re going to have to have your wall rise or fall down the slope in steps. Using your fill dirt, you’ll have to lower or raise an area of the trench so that each step is level. You do not want the wall to run parallel to the slope. Once you have your trench at the right level, you need to tightly compact the fill dirt. You can use wood boards or maybe one of your building blocks. Next, you lay down the blocks in the trench and stack them up to your desired height. It’s a good idea to secure your blocks will concrete or another material that can keep the blocks in place. Once that is complete, your retaining wall is done and you can begin landscaping. Though building a retaining wall can be completed with a simple step by step process, it is important to consider utilizing a Maryland fill dirt contractor for assistance with the the construction process. Fill dirt contractors can supply your project with the adequate fill dirt it needs to be a stable and successful structure that will improve your yard and ensure proper drainage. For more information and help getting started on your retaining wall project, contact the experienced fill dirt contractors at Dirt Connections.